Broadcaster confirms Sky subscribers will be able to enjoy STV in HD for both World Cup and Champions League final. STV has confirmed it will launch STV HD on satellite at the end of April. From Monday April 28, 2014, the new service will be available for Sky HD subscribers in Glasgow and the west on channel 103, and Sky channel 178 in other areas. 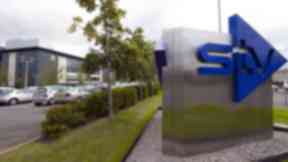 Freesat viewers will be able to access STV HD on channel 119. It means viewers will be able to enjoy the World Cup and Champions League final on STV HD on satellite platforms.